He became a test pilot and: “one of the first Americans to fly in world War Two.” Seventeen years later he had graduated from dropping Candy Bars to dropping the world’s first atomic bomb on Hiroshima. 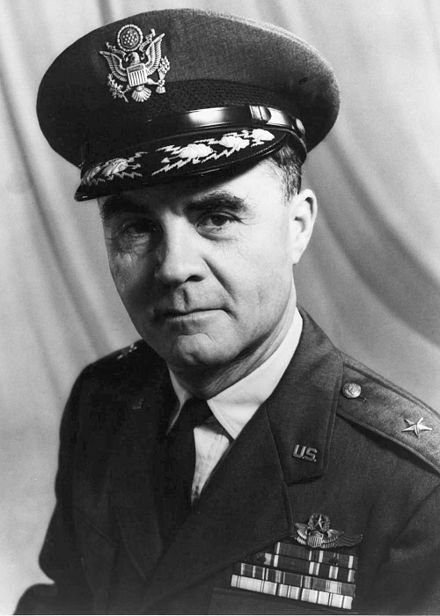 Thirty years later, the now retired Brigadier-General Paul Warfield Tibbets Junior (image right) told authors Gordon Thomas and Max Morgan-Witts, for their minutely detailed and definitive book (1) on one of the world’s greatest crimes, of the background to the venture. Most would surely conclude it was a criminal project from the start, on every level. “I got called on this bomb job … I was told I was going to destroy one city with one bomb. That was quite a thought … We had, working in my organization, a murderer, three men guilty of manslaughter and several felons; all of them had escaped from prison. “The murderer was serving life; the manslaughter guys were doing ten to fifteen years; the felons three to five. After escaping they had enlisted under false names. They were all skilled technicians … They were all good, real good at their jobs and we needed ‘em. We told them that if they gave us no trouble, they would have no trouble from us. The crime which the “oufit” committed was also unique, making the odd murder, manslaughter or felony on home soil pale in to insignificance in comparison. 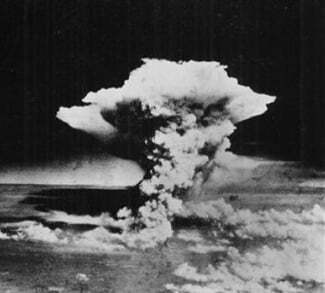 In Hiroshima, a millisecond after 8.16 a.m., on 6th August 1945, the temperature at the core of the hundreds of feet wide fireball reached 50,000,000 degrees. Flesh burned two miles distant from it’s outer parameters. Just three of the city’s fifty five hospitals remained usable, one hundred and eighty of Hiroshima’s two hundred doctors were dead or injured and 1,654 of 1,780 nurses. Sixty two thousand buildings were destroyed as all utilities and transportation systems. Just sixteen fire fighting vehicles remained workable. “The radiant heat set alight Radio Hiroshima, burnt out the tramcars, trucks, railway rolling stock. At home base, as Hiroshima was incinerated, a party was being prepared to welcome the arsonists. ”The biggest blow out” with free beer, all star soft ball game, a jitter bug contest, prizes, star attractions, a movie and the cooks working overtime to prepare a sumptuous fare. 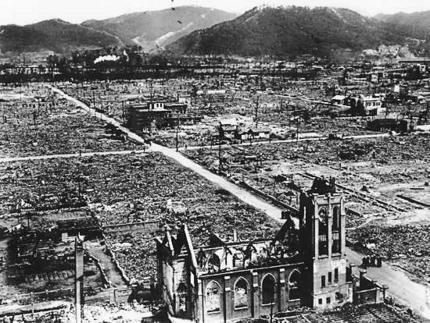 Hiroshima’s destruction had a uranium-based detonation. Three days later on 9th August, Nagasaki was destroyed by a plutonium-based detonation to ascertain which would be the most “effective” in the new nuclear age warfare. Not even a nod or thought had been given to the Hague Convention which had very specific legal guidelines to protection of civilians in war. One might speculate that Hiroshima also vapourised any pretention of such considerations for all time, in spite the subsequent Geneva Convention and it’s additional protocols. In May this year, President Obama visited Hiroshima, he said (2): “Seventy-one years ago, on a bright cloudless morning, death fell from the sky and the world was changed. A flash of light and a wall of fire destroyed a city and demonstrated that mankind possessed the means to destroy itself. Did President Obama have a twinge of conscience as he read it? Or did he even bother? He is surely amongst the most unworthy of Nobel Peace Prize Laureates. And will the rest of the world heed the words, the pledge and the spirit, before it is too late?